We eat sandwiches at least once a week – when I plan our menu, it’s usually on Tuesday’s. Truth be told, it’s easy to fall into a sandwich rut. Sometimes, ya gotta think outside of the bun …. These flat bread melts made my boys (husband included) go nuts! They *LOVED* them! 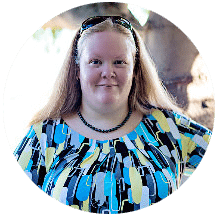 I felt like a rock star with all the compliments and adoration …. I didn’t have the heart to tell them how easy it was. 😉 We’ll leave that as our little secret! I’m gonna warn you – This “flat bread” is so good …. It was so soft and chewy and crispy and yummy. I could have easily made a meal out of just the bread! (Have I told you before that I’m a carb-junkie?!) Seriously, love this stuff. If you’re a carb-junkie, you have been warned! I can think of a million ways to make flat bread melts using different combos of ingredients. I can be a rock star all the time with all these ideas. 🙂 We served it up with some fresh broccoli with dip and fresh fruit on the side. It made a quick, satisfying meal the whole family enjoyed! In a skillet, heat a few tablespoons of oil over medium-high. Turn to coat the bottom evenly. Unroll the tube of pizza dough. Using a pizza cutter, cut the dough into 8 equal pieces. Take one piece of the dough and flatten slightly with a rolling pin or your hands. Add to the pan with the oil. Cook on the first side until browned (about 1-2 minutes) and carefully flip the dough piece over. Cook on the second side until browned. Remove to a paper towel lined plate to drain. Repeat with remaining dough pieces – add oil as necessary to the pan. Meanwhile, in a separate skillet, brown and crumble the beef with onion until meat is no longer pink. Drain if necessary. Stir in the bacon. Add bbq sauce to taste (we like ours the consistency of a less messy Sloppy Joe’s). Heat through, stirring occasionally. To serve, top with beef mixture and cheese. Yum. 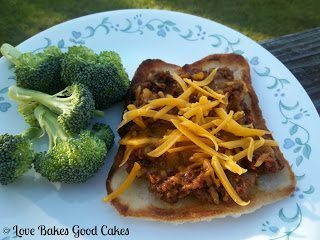 This would be a great weeknight supper and would be something you could easily keep the ground beef browned and in the freezer. 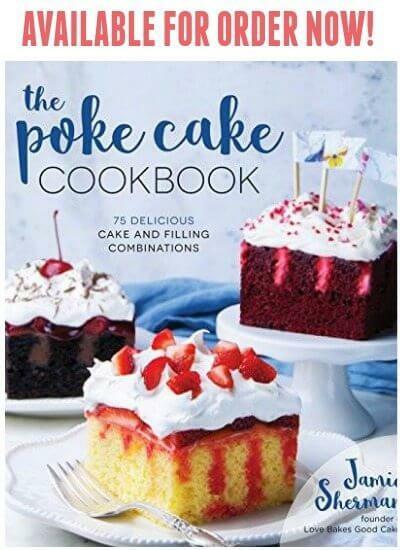 Sounds very yummy – the hubby would love this! Pinning. What a great weeknight meal! I will definitely be giving these a try. Oh these sound great. I've been in a food rut, period. 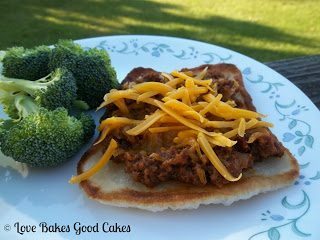 Your BBQ Bacon Cheeseburger Flat Bread melts look delicious and a great idea. Hope you are having a great weekend and thank you so much for sharing with Full Plate Thursday. Thank you for linking, Jamie! I'm old fashioned when it comes to BBQ, but I love the twist. It looks great and I can't wait to try it out. Thanks! Hey Jamie! As a co-host for Mom's Test Meal MOndays I'm choosing you as one of my Features. The post will go live on Friday night so the button will be available to grab after that! Congrats! Hi Jamie! Thanks so much for sharing this on Manic Monday!! I have pinned this and tweeted it 🙂 hope to see you next Monday. This looks delicious, Jamie! Thanks so much for sharing on Marvelous Mondays!